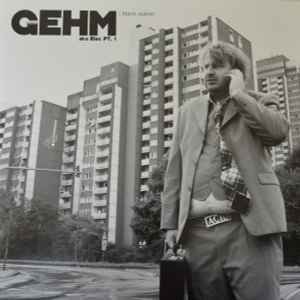 Bunker, Creme Org., Mathematics to name a few labels, who Andreas Gehm aka Elec Pt.1, the man from cologne, releases his output the last years. After the Ep The Exaltics meets Elec P.1 early 2013, Solar One Music is happy to announce his fantastic Longplayer "Black Pukee". 12 tracks on the edge of early Dark Jackin Acid, Chicago House and uncompromising Underground Techno and you can clearly hear his passion for the purest 303 Sound. Double LP presented in full printed cover artwork. Repress coming on the 6th of march. Edit: I think the repress is already out now! Great album. Old school 707 + 303 + synth workouts with some tracks like Cologne Dayz featuring some tasty pads, and some deep vocals here and there. Shake Your Acid is particularly hypnotic and has a huge, huge build towards the end. Sometimes drums and 303s are all you need. RIP Mr Gehm. This is a very cool release but the mastering is bad. The signal is to low and is crackle often.